The new year brought a new crop of haiku from co-host Andrew Huff! The set he read at the Jan. 6th edition of Tuesday Funk got away from topicality and went in a more conceptual direction. who never die at all. 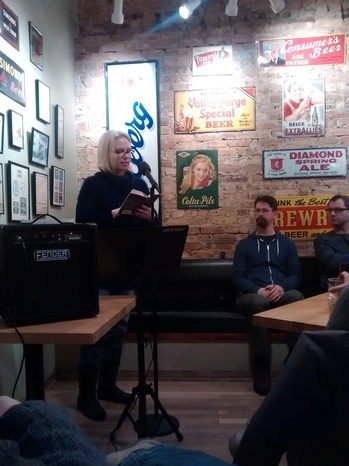 With only our collective body heat (and the Hopleaf HVAC system) to warm us, we embarked on a wintry evening of literary delights at Tuesday Funk #77! Kelly Swails left us wanting more with a tense story about trying to undue the tragedies of the past with that mercurial tool - time travel. John Rich followed that up with a fascinating essay about the nature of happiness... and Lauren Bacall. Co-host Andrew Huff read a conceptual series of related haiku - about memory and the nature of existence. And James Kennedy finished up the half with an excerpt from his new novel about a boy who controls tornadoes. Mark showed us his talents with bottle and glass at intermission, and we drank his masterpieces. Co-host Eden Robins read a personal essay about the mystery of what happened to her childhood cat, and then Christopher Sweet kicked off the second half with an essay about the many flavors of anxiety, from childhood to adulthood. And Erin Shea ended the night with a bittersweet essay about shoplifting, lying, and motherhood. Almost before it had begun, the evening was over. But don't worry! As ever, we will be back again next month with Tuesday Funk #78! Come see Alan DeNiro, Cameron McGill, Patty Templeton, Christa Desir, and H.Melt on Tuesday, February 3. Same time, same place! Reminder: Tuesday Funk #77 is tonight! You know what they say about Chicago: We've got two seasons... football and sausage. Wait. Is that right? It's going to be cold tonight, but we'll warm you up right good at Tuesday Funk #77! Come see local hotshots James Kennedy, Kelly Swails, John Rich, Erin Shea, and Christopher Sweet. Your faithful hosts Andrew Huff and Eden Robins will be there, and they'll be counting on you. 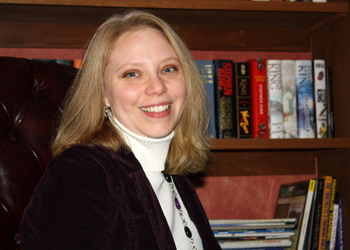 Erin Shea is a writer and editor. Her work has been noted in a number of publications, including Good Morning America, The Wall Street Journal, Self, the New York Times, O, The Oprah Magazine, and she's published in the Huffington Post, Bust Magazine, Time Out Chicago, Chicago Tribune, Oprah.com and the Chicago Sun-Times. She performs regular in Chicago at reading events such as Guts and Glory, Funny Ha-Ha and CHIRP. Erin's book, Tales from the Scale, was named one of the top six health-related books of 2005 by the Wall Street Journal. Erin irregularly writes at ejshea.com, and lives in Chicago with her husband and daughter. You can follow her on Twitter @erinjshea. Please join Erin and all our winter wonders on Tuesday, January 6, 2015, upstairs at Hopleaf at 7:30 pm. This 21-and-older event is free. 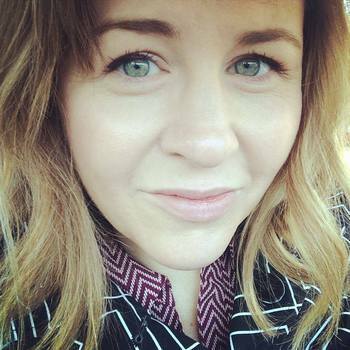 Kelly Swails is a writer and editor who pays the bills by editing an online scientific journal. Her short fiction has appeared in several anthologies including Coins of Chaos and Boondocks Fantasy. She relocated to Chicago this past summer and has been busy exploring her new home. When she's not writing or working she watches geeky TV and pretends she's not a crazy cat lady. There's a rumor she sleeps on occasion, but that has yet to be proven. You can find her online at www.kellyswails.com. Please join Kelly and all our awesome, potentially sleep-deprived readers on Tuesday, January 6, 2015, upstairs at Hopleaf at 7:30 pm. This 21-and-older event is free. 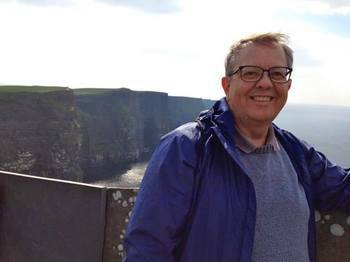 John Rich is a writer, performer, teacher, and arts administrator. He is currently the Director of the Guild Literary Complex, a cross-cultural presenting organization in Chicago, and was the founder of the Chicago Book Expo. 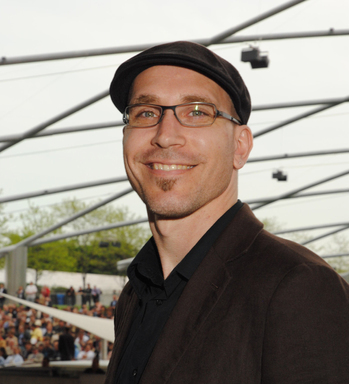 He earned an MFA in Writing at the School of the Art Institute of Chicago, where he currently teaches, and a BFA in Painting from Grand Valley State University. He is a recipient of the Vaclav Havel Fellowship in Playwriting from Western Michigan University and a Ragdale Foundation residency in writing. 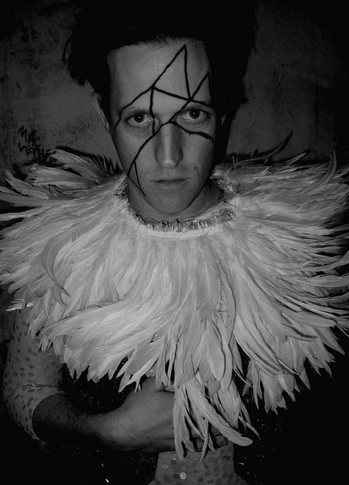 He co-founded the collaborative theater group Attention Deficit Drama, served as company manager for Goat Island, and has performed with Every House Has a Door. Please join John and all our superlative readers on Tuesday, January 6, 2015, upstairs at Hopleaf at 7:30 pm. This 21-and-older event is free. James Kennedy is the author of The Order of Odd-Fish, a young adult fantasy that was named one of the Smithsonian's Notable Books for Children. Booklist praised Odd-Fish as "hilarious" and Time Out Chicago described it as "a work of mischievous imagination and outrageous invention." James is also the founder and curator of the 90-Second Newbery Film Festival, in which kid filmmakers are challenged to create movies that tell the story of Newbery Award-winning books in 90 seconds or less, screening annually in New York, San Francisco, Portland, and other cities--including here in Chicago, on January 25, 2015, at Adventure Stage Chicago (1012 N. Noble)! James lives in Chicago with his wife and two daughters. Please join James and all our outrageous readers on Tuesday, January 6, 2015, upstairs at Hopleaf at 7:30 pm. This 21-and-older event is free. Please join Christopher and all our incognito readers on Tuesday, January 6, 2015, upstairs at Hopleaf at 7:30 pm. This 21-and-older event is free. Winter's chill will not stop the funk! 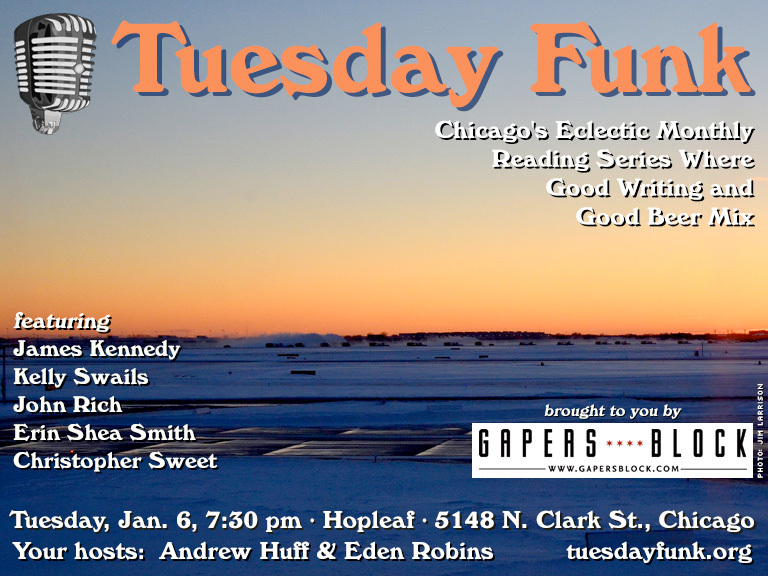 Tuesday Funk, Chicago's eclectic monthly reading series, returns in January with guests James Kennedy, Kelly Swails, John Rich, Erin Shea Smith and Christopher Sweet. The reading gets underway on Tuesday, Jan. 6, 2014, at 7:30 pm in the upstairs lounge at Hopleaf, 5148 N. Clark St., Chicago. Doors open at 7:00 pm sharp -- no earlier, unfortunately, but get there as close to 7 as possible to grab a table, as the room fills up quickly. Andrew Huff and Eden Robins co-host, our lovely bartender Mark will have beers at the ready, and stop downstairs before or after the show for a nice, hot meal before heading back out into the cold. Admission is free, but you must be 21 or older. RSVP right here and bring a friend. And hey, become a fan of the show on Facebook so you never miss an invitation to one of our readings. See you there on Jan. 6! This page is an archive of recent entries in the Reading # 77 category. Reading # 76 is the previous category. Reading # 78 is the next category.